blog Law & Information Can a Car Accident Make Me Lose My Driver’s License? Most people can’t imagine what daily life would be like if they did not have the ability to drive. But that can be the reality if you are involved in a few specific traffic incidents or if you accumulate 10 points or more on your Oklahoma driver’s license in five years. What Adds Points to Your Driver’s License? Any violation that carries a points penalty can result in the loss of your driver’s license if you already have accrued points. How long will the license be suspended? It starts at a single month with the first accumulation of 10 points, and by the fourth set of 10 points, you will lose your driving privileges for an entire year. What Are Grounds for Immediate Suspension of Your Driver’s License? There are a few very serious events which can result in the immediate loss of your license in Oklahoma. One such offense is hit-and-run: leaving the scene of an accident involving personal injury or the death of another person. If you are in an accident where someone is injured and you flee the scene, you will immediately lose your driver’s license. Any accident in which you are charged with manslaughter or negligent homicide will result in the immediate loss of your license. Any time you are issued a ticket for DUI you will also lose your driving privileges. In Oklahoma, anything over a blood alcohol content (BAC) of .08% is considered a DUI for a standard driver’s license. If you hold a commercial driver’s license, a DUI is anything over a BAC of .04%. If you are involved in an accident and you have a BAC of .08% or greater, you will immediately have your license suspended. For a first offense, you will face a 180-day suspension. A second offense results in a one-year suspension, and the third will cost you your driving privileges for three years. It is also important to know that a BAC between .04% and .08% is considered to be driving while impaired (DWI), which is also a violation. In the case of a DWI charge, the first offense will result in a 30-day suspension of your license. The second offense increases the suspension to six months, and the third is a full year without driving privileges. What Happens If You Were Hit by an Unlicensed Driver? In Oklahoma, all drivers are required to have a valid driver’s license and insurance. If you are in an accident that was caused by an unlicensed driver, he or she can still be held accountable for all of your damages. The unlicensed driver will face a first-offense fine of $100 to $500 and fees which can range from $50 to $1,000, but that money goes to the state, not you. To get compensation from a driver with a suspended or revoked license, you need to file a personal injury claim. 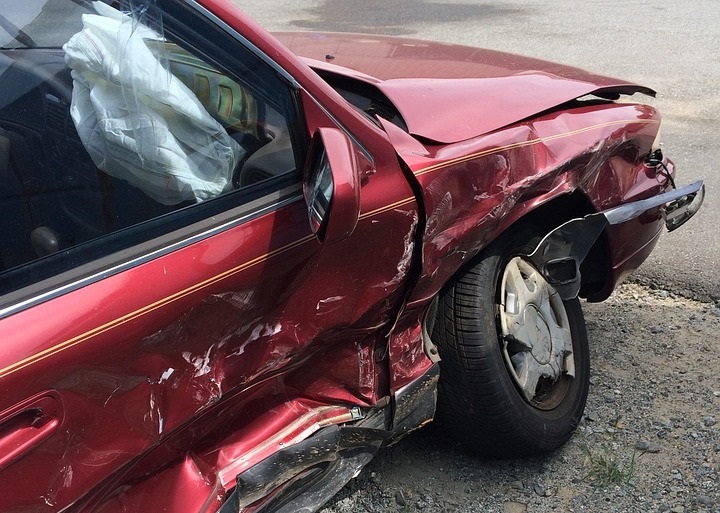 Seeking Compensation After an Accident? When you are injured in a car accident, it should be fairly simple to get compensated for your losses by the at-fault driver and insurance company. But often times, the at-fault party will work very hard to avoid taking responsibility for his or her actions in the hopes that you will eventually give up. As a victim, you have a right to recover compensation for damage to your vehicle and other property, medical bills for your injuries, lost wages, and more. To learn about your rights, contact Car Accident Help at (405) 285-4357. We can answer your questions and schedule a free consultation to discuss your legal options.